Although the most common types of diggers, depending on their use, tend to be mini or micro diggers, long reach diggers and dragline diggers, we know there are many more types of specialised diggers and excavators out there. 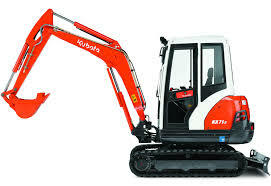 We are interested in almost all types of digger so if you have something more specialised such as a power shovel excavator for sale, then do still get in touch with us as we will pay cash for your machinery. Power shovel diggers or excavators are what most of us would refer to as a digger, a big machine with a bucket attached to the front arm for shovelling. These machines usually range from between 2.5 tonnes to 5 tonnes so are designed to cope with a lot of weight. 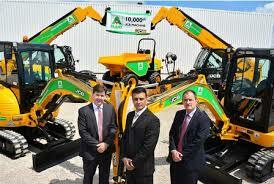 Walking diggers are specialised versatile pieces of equipment, which allow you to move as you excavate. This specialised all-terrain digger contains all the same parts as a regular digger, like a boom, bucket, stick and cab all on tom of a rotating platform. However underneath the platform there are leg-like extensions, which can help the excavator to walk. These can come with or without wheels and make for efficient excavating. If you have one or more of these types of diggers, or perhaps another type of digger you’re looking to sell, then get in touch with us today. Once we have the details we’ll be able to provide you with a quote for how much we could pay you in cash for your digger or diggers.